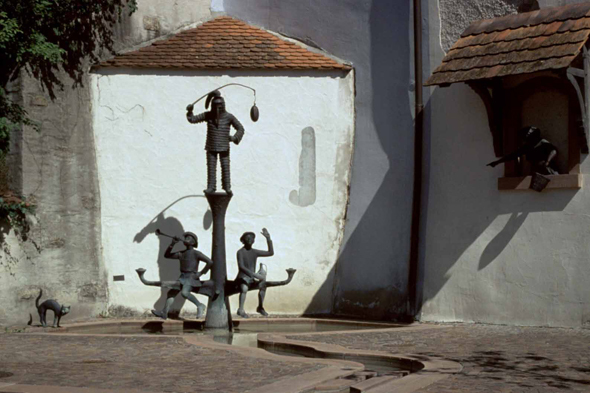 Sculptures in a street of Engen. The city has an old and eventful history. This region already was populated 14 000 years ago. From this time dates the Venus of Engen, small abstract statuette of woman out of jet (variety of lignite).